Sony boasted it’s Triluminos display on Xperia Z Ultra which has till now the best ever screen display Sony has produced but does Sony Xperia Z1 also has the same stunning display. 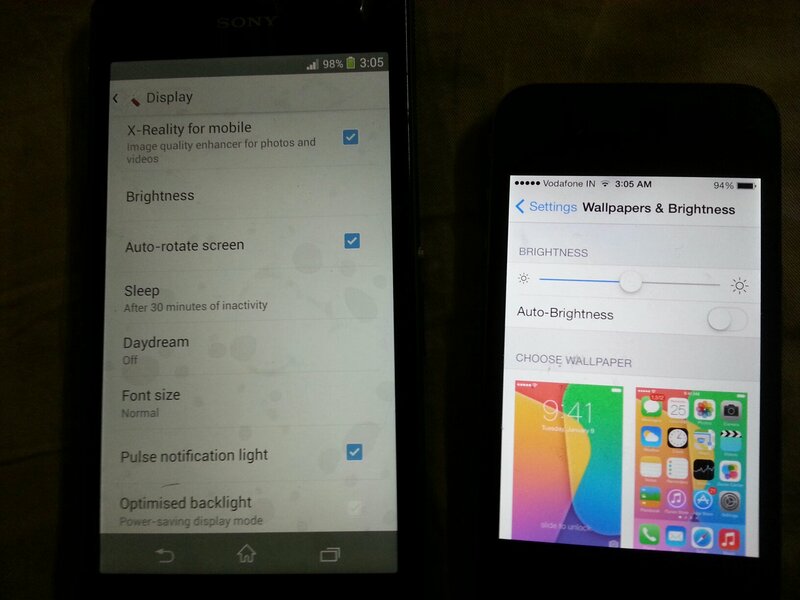 Our answer and what many users are reporting to us is “No”, Xperia Z1 screen display is not par with Xperia Z Ultra. No difference is caught on the display comparison of Xperia Z and Xperia Z1. Display on Xperia Z1 seems same as like on Xperia Z. Another issue has popped up on the quality of Sony Xperia Z1 display, many users have reported to us that they are having “Yellow Hue Tint” on screen display of Xperia Z1. White doesn’t appear proper white on screen display and on the left side of screen display in mainly yellowish, not proper white. 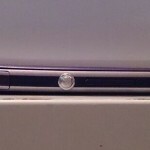 Though an issue of poor viewing angles on the screen of Xperia Z1 has also come up but in this post that’s not our concern. Users are now saying screen lottery again ?? 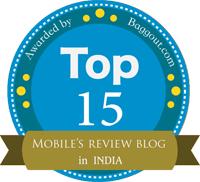 Highly disappointed this time, lat time any such issue came up during the reign on Sony Xperia S, which Sony acknowledged. 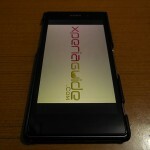 Now Xperia Z1 users are complaining the same that they have got the poor display screen on their Xperia Z1. If you have bough the Xperia Z1 then have a look at the top left side of screen, does it appear proper white as it should or you see a slight yellow hue tint on it. If not like us you are lucky but if you have it then it is very unfortunate for you. Let’s have a look at some of screen samples of Xperia Z1 which have this yellow hue tint on screen. 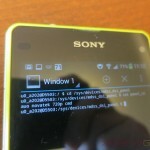 Below issue was found on XDA user japjit100’s Xperia Z1 screen. 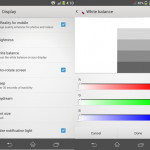 If you have this Yellow Hue Tint Issue on Screen Display of Xperia Z1, then see what you can do to make it a bit better. Go to nearest Sony Service Center, and get your screen display checked. 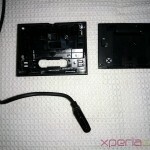 If the issue is confirmed get your Xperia Z1 replaced. This is the best option but is doesn’t guarantee that the upcoming new Xperia Z1 for you will not have this issue. 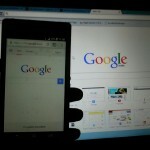 But to get it replaced is certainly a better option, it may not have this issue. We see the “White Balance” Settings option is not present in Xperia Z1 though it was in Xperia Z, it should have fixed the issue a bit. Set the Brightness level to 35%. Uncheck the “adapt to lightning conditions” option. Download this app from Google Play “Screen Adjustor“. Set the “Blue Level” to “+6” in the app settings and tap on run the app option. Above settings will temporarily fix the issue and white will appear as it should. 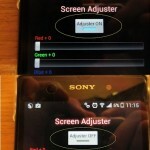 Although it looks that it’s just a calibration issue may be Sony fix it in the upcoming firmware update. But what if there is something actually wrong with the display of Xperia Z1, then it’s an issue of concern for all Xperia Z1 users. From our side we have tweeted to Sony Mobiles asking them to acknowledge the issue urgently. If you have this issue, please acknowledge it and let us know in comments as it is a serious problem and we should make concerned authorities aware about it. 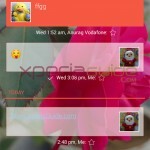 Have a look at the display comparison of some Xperia phones. I bought Xperia Z1 on 20th Sep, I also found the yellow hue tint issue on my fone..
get it replaced soon, go to service center….your serial number starts with ? The same issue with my phone. Today I visited service center, really you are right very worst condition at Service center they don’t want to listen us. Today they are trying to restore my phone. But I definitely sure the mistake in display panel , So now I’m waiting to answer. what they will say. I never accept same unit again. If they won’t change my unit in DOA . I will go at Consumer Court. no issue has been reported on this model number yet. 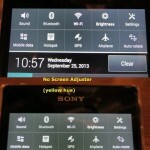 sony will you do something regarding this yellow display of xperia z1…..replace our phone….why don’t your hear us. 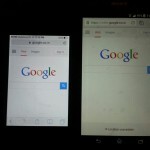 my XZ1 screen is off white on color, deep yellow it is…..sony wtf you are doing with Z1, faulty poor cheap panels. 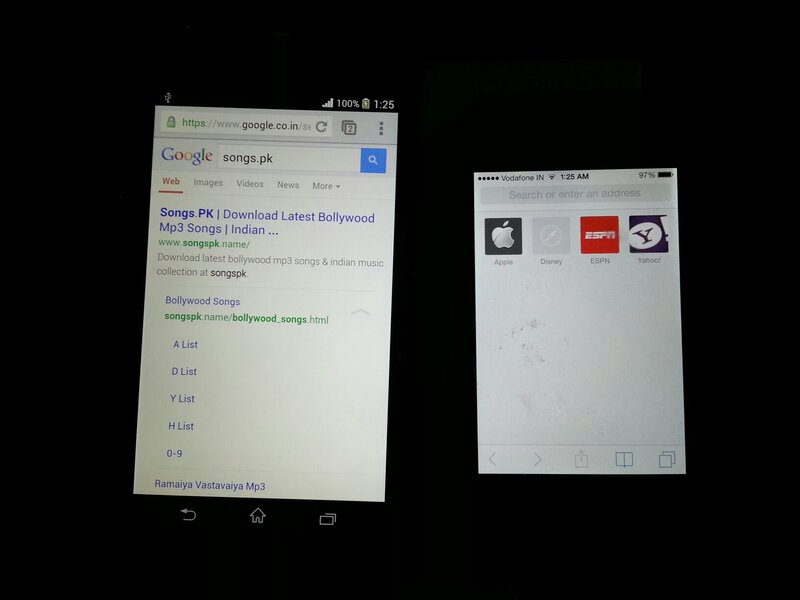 got yellow spot on my z1 new purchased….sony disregarding my concern of yellowish screen on z1. Bought the Z1 yesterday. I am having the same yellow tint issue, I tried to balance the whites with screen adjuster, it worked pretty well but it left the blacks with a blue hue to it, the screen is washed out anyway. Really disappointed with sony this time. 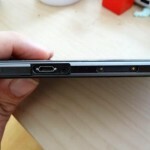 With the previous experience I had with my xperia S, it is a hardware issue. Replaced two XS to get a flawless one. I brought a Z1 a couple day ago, I am from Holland and my serial starts with BH907, didn’t saw this one come buy. I don’t have yellow hue on the screen but the Wifi signL is weak but when even 1 bar the 5ghz speed is full and stable but the signal is bad. And I have cracking kind of sound when I push in the middle of ths back, especially arouns Xperia and upstairs and I don’t knoa what it is ans also didn’t saw someone else complain about this. So taking this 2 things above I decided to make swap for a new one, today I got the new one andthe serial from this one was BH901 and I read on that this could be a good one wwithout the yellow hue. After setting up and comparing with the first unit I saw the yellow hue on the 2nd unit. The wifi signal is the same but the cracking sound isn’t there so I am still stuck with the first unit. I don’t why the sound is there on the back but I hlpe it will not give a problem in a later stadium. But anyway beside that I love the phone and so far I love, I come from a S4 and I don’t miss it :-). I too have same problem and I reported it to Sony Support Desk on 2nd Oct. but there is no reply from them till now. My serial no. start with BH905. I bought Z1 from China end of Sept. (BH903***) and I am really disappointed with the screen colors and camera performance. I am from Kenya so I cant get a replacement here now. I flashed the generic Indian rom as the chinese had a lot of non-english bloat. I am using screen adjuster improve the whites but still a lot is desired. I hope the G2 firmware fixes the screen and camera noise esp. in low light. I cant say this is a great phone due to these two issues. I am coming from Nexus 4 the screen colors are miles ahead of Z1. Sometimes I wish I had taken the Lg G2. I will keep my fingers crossed for firmware updates to fix this potentially great device. My Serial number is BH904ZMK09. I have this yellow hue issue. My Serial Number is BH903***. I have this yellow hue issue too, is this software/firmware problem or hardware problem? Please Help. seems hardware issue to me. If you still have it after .257update then better get is replaced from service center. will this fixed in future firmware update?? i have bh903 indonesia, no yellow issue at all. solid build and waterproof tested. the z1 declares “NO SIM CARD” if you dont have signal for few hours. then you have to reboot. i got this one as a replacement of my previous one (BH904***) which is having yellow tint issue..
now is there any problem of yellow tint issue reported with this series? The mine also BH90TM yellow. Of course, it could be that the camera records colours differently at the edges of its field of view. What is the stated tolerance for colour uniformity and accuracy in the specifications ? No agreed spec – no problem ! im having the same yellow hue problem with my xperia z1, my earlier phone xperia z display was much better than this….i think every body of us must moove to consumer court if sony does not replace our phone…..let us make a community on face book on this issue and decide wat to do next if sony does not replace it….. Very disappointed by Sony. I bought Z1 though the phone is good but the major issue with yellow hue tint display. Compare a sample video with Samsung it was such an embarrassment seeing the color display quality in z1. But only option left would be going for replacement. 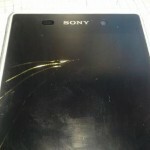 Sony is not producing their products upto the mark…this is my fourth phone.. and I’m very unhappy. I have the same problem but with t2 ultra… I bought it from a local store (this my fault) few months ago after 1 day I noticed my phone’s screen is so yellowish the next day went to the store and told the seller that I want a replacement… And also I took my brother’s t2 ultra to make him compare between the 2 phones… He was like I can’t see any deffirence, there’s no issues at all.. ،and sorry I can’t give you a replacement.